Varishtha Pension Bima Yojana 2017 is a guaranteed pension scheme by the Government of India for senior citizens, aged 60 years and above. This wiki will provide details on the history, the features and advantages of the pension scheme. A Government of India subsidized scheme with an assured return of 8% per annum effective yield for monthly pension. First announced in July 2003 by the then BJP government (NDA) for people above 55 years. Offered guaranteed annual return of 9% paid on monthly basis. In 2004, the scheme was withdrawn. In 2014-15 budget, Arun Jaitley re-announced this scheme with age limit increased to 60 years. In 2017, Varishtha Pension Bima Yojana 2017 is launched with 8% interest rate. 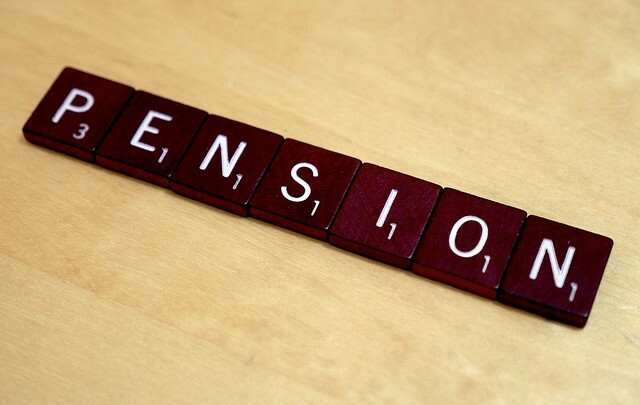 According to Press Information Bureau, Government Of India: Government of India in the Union Budget 2014-2015, announced the revival of Varishtha Pension Bima Yojana (VPBY). The Union Finance Minister Shri Arun Jaitley said in his Budget Speech, “NDA Government during its last term in office had introduced the Varishtha Pension Bima Yojana (VPBY) as a pension scheme for senior citizens. Under the scheme, a total number of 3.16 lakh annuitants are being benefited and corpus amounts to Rs.6, 095 Crore. I propose to revive the scheme for a limited period from 15th August 2014 to 14th August 2015 for the benefit of citizens aged 60 years and above”. Purpose of VBPY 2017, is to provide immediate pension to senior citizens. It is a part of Government’s commitment for financial inclusion and social security. VBPY will protect against a future fall in their interest income due to uncertain market conditions. This initiative is for the welfare and well-being of the senior citizens of the country especially given the increasing longevity in India, which has gone up substantially. The subscription to the scheme would create a huge corpus which will help in resource mobilization for the development of the country. This scheme will be managed by Life Insurance Corporation of India (LIC). The scheme will likely be launched on April 1st 2017. The scheme is to remain open for subscription for one year from the date of launch. Under the scheme senior citizens above the age of 60 will be offered pension (annuities) in monthly, quarterly, half-yearly and annual modes. Fixed interest rate commitment is for 10 years only, after which rates will be revisited. Return of 9% and annualized yield of 9.3%. No medical check-ups required for LIC Varishtha Pension Bima Yojana. Early availability of Surrender Value if the annuitant is diagnosed with any Critical or Terminal Illness. Lock in period of 15 years. Varishtha Pension Bima Yojana 2017 is offereing only 8% when real inflation is still quite high. Is 8% a good interest rate for retired senior citizens who have no other income source? Here is what experts have to say. “The Union Cabinet chaired by the Prime Minister Shri Narendra Modi has given its post-facto approval for launching of Varishtha Pension Bima Yojana 2017 (VPBY 2017). It is a part of Government’s commitment for financial inclusion and social security. I hope you found this article on LIC Varishtha Pension Bima Yojana 2017 Wiki. If you have something to add please leave a comment in the post. Please feel free to contact me.